Can A Collection Agency Threaten A Lawsuit Against Me? Not unless they have permission to do so from the original creditor, and they are prepared to file the suit immediately. If neither of those preconditions are met, then there is a good chance that your rights have been violated. The Fair Debt Collection Practices Act (FDCPA) is a federal statute that protects consumers against the overreach of the collection industry. The Act tightly regulates what a collection agency can and can’t do in its attempts to collect on a debt. If a violation of the Act occurs, the debt collector must pay you up to $1,000 in damages, and it must also pay for all of your attorney fees. Once a debt is turned over (or bought up) by a St. Louis collection agency, it is necessary that they disclose certain rights to you. This information must be delivered to you within thirty (30) days. During this thirty day period, you have the right and opportunity to dispute the debt in question. For instance, if you do not think you owe the debt, or if you do not believe the debt accurately reflects that correct amount, or if you simply want to see a breakdown of the past due amount owed, you have every right to demand it from the collector. But if during that time the St. Louis debt collector issues any kind of threat about your debt status (like for instance, if it demands that you begin a repayment plan, or if it says it will sue you immediately if you do not make good on the debt, or if it refuses to provide you with any kind of a detailed accounting about the underlying debt), then it is highly likely the collector has violated the FDCPA. As mentioned, the statutory damages for such a violation are up to $1,000. This is not an amount that is going to change your life, but it is one thousand more dollars than you would have had before (and no, it does not make any difference what the size of your debt to the collector is; if you have a relatively small medical bill of $50 with a collection agency, but they violate your consumer rights under the FDCPA, the collector still has to pay you damages of up to $1,000). Understanding what your rights are under federal law is obviously very important. Unless you know what you can do to protect yourself, companies such as a collection agency will run over you without paying any heed. In addition, you may also be dealing with a good deal of other unsecured debt (such as credit cards, medical bills, payday loans, etc). If this is the case, it may be a good idea to consider filing a St. Louis bankruptcy. Such a filing with take care of all the rest of your debts, stop any St. Louis wage garnishments, bank levies, car repossessions, home foreclosures, and of course, lawsuits. 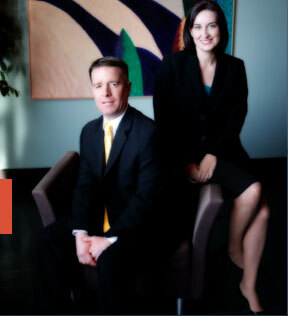 The affordable St. Louis bankruptcy lawyers at Brinkman & Alter, LLC have been assisting people fight back against collectors and creditors for over ten (10) years. We have two locations: in the Central West End, at 1 North Taylor, St. Louis 63108; and in the Twin Cities of Festus / Crystal City, at 1000 Truman Blvd (Highway 61/67), Jefferson County 63019. The initial consultation to discuss you legal-related issues is free of charge. So contact us today to learn more! !